A, C & E trains to Spring Street Station. Full buy-outs of the restaurant are possible on lunch time,. We only accept AMERICAN EXPRESS, Personal Check, major cryptocurrencies and Cash . Great food and great service! Between four people we had the goat cheese tart (delicious and highly recommended), the duck (this will be my order next time), hanger steak (so much flavor! 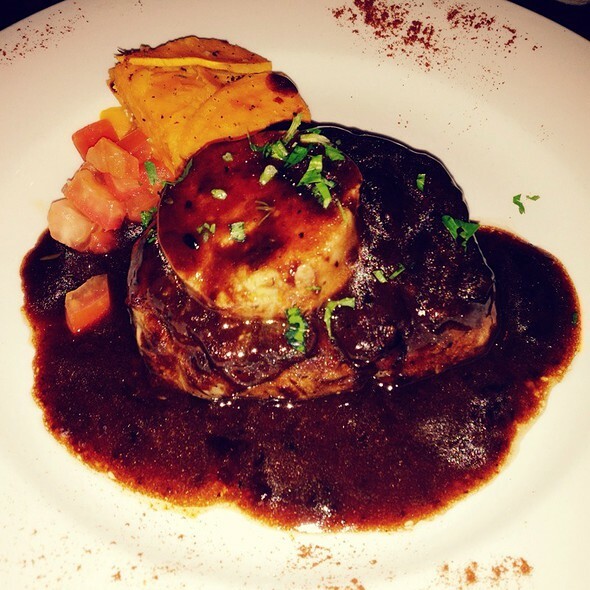 ), filet mignon with foie gras (so incredibly rich and the sauce is amazing), banana brulee (very interesting and delicious combination of brulee and pudding), profiteroles (a must), and chocolate lava cake (skippable. 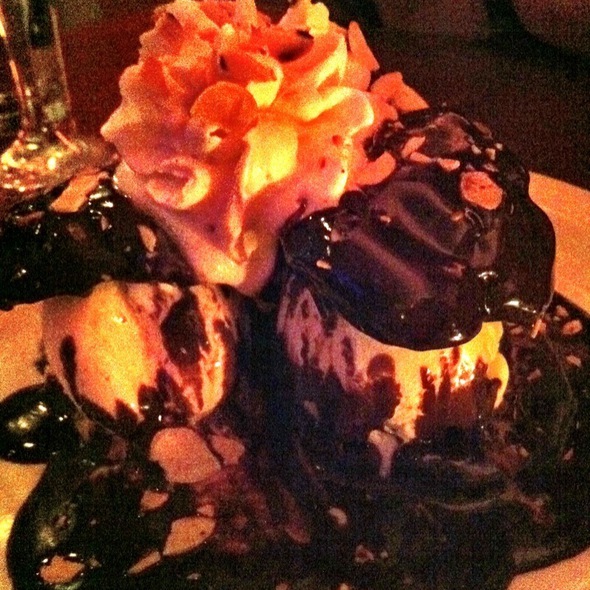 Get another order or profiteroles instead). Everyone were very happy with their food and we left full and satisfied. The service was great too! They didn't hurry us to order or leave but rather let us take our time having a wonderful dinner while catching up and celebrating a birthday. Definitely coming back! Perfect date place! Reservations are recommended since the place is on the smaller side (especially the bathroom) and keep in mind they only take amex or cash (ATM available outside). Also probably best not to go during a holiday since prices are significantly increased. Watch out for them during restaurant week! That is how I discovered this gem. My family had a great experience! The food was old-fashioned French and excellent. Flavorful and rich sauces, tender meats, crisp vegetables. It was a late-night dinner (~11) and quiet. The server was pleasant and attentive. I live this restaurant and visit it often. Great food and service. Excellent food and service. Will absolutely return. Parking was fine as well on a Saturday night. Quaint and delicious! A perfect pre-theater dining experience. We loved it and couldn’t stop talking about how much we loved it. We will make sure to return again soon. Thank you! La Sirene has amazing mussels and French food in general. It's our second time there and everything we had so far was delicious. Food was phenomenal as always but the staff was super busy and something happened with the oven which caused delays. They did offer us free dessert to make up for the wait which was nice. I’ll be back, the food never disappoints! The food is delicious and the menu quite special. The service is perfect and the place is lovely. 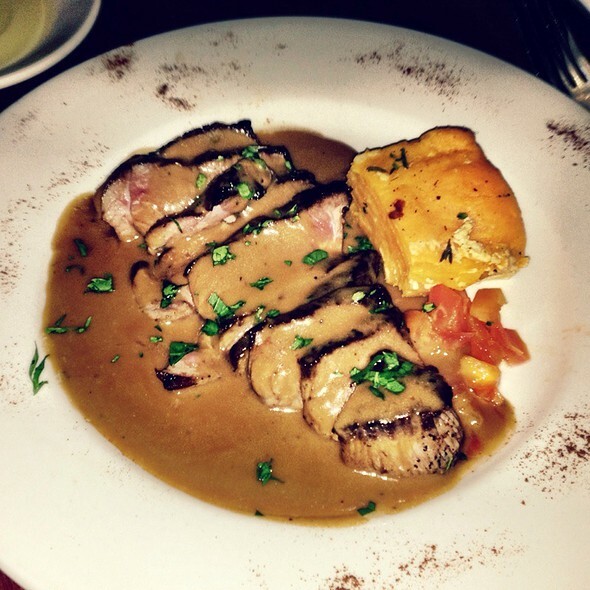 The restaurant is small and intimate, comfortable and not with stuffy decor. Service was great - very attentive from start to finish. 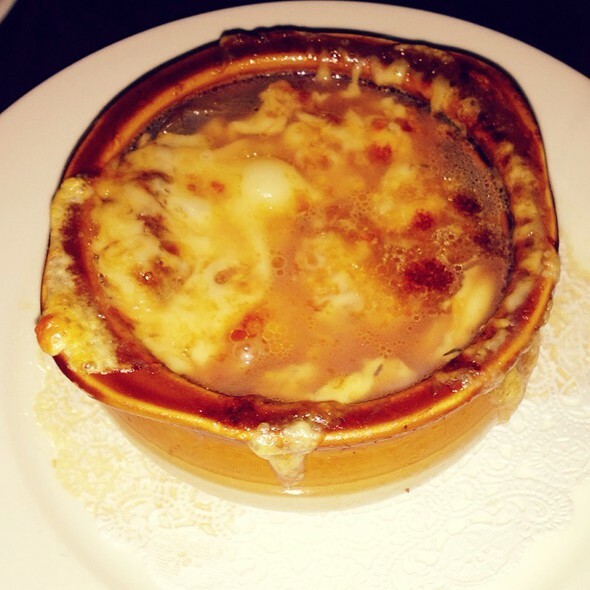 Food was fantastic - highly recommend the french onion soup and the quail. Bottle of wine was both a quality house choice and affordable. Will be going back there and not just for special celebrations. One dish was great, the other mediocre. Service was European. Slow and aloof. Some will enjoy the unrushed vibe. Others will crawl the walls. I’ve eaten here before. This time came with a friend. The good was lovely. I thought the lamb was excellent. Had the beet salad to start and the tarte tatin for dessert. Both also very good! 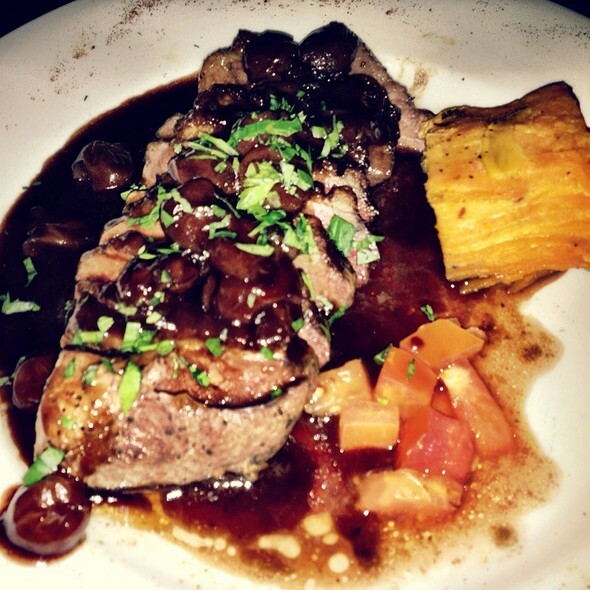 My friend had the salad marche and the tournedos rossini. She did not care for the texture of the foie gras. For dessert she had the Iles Flottantes au Caramel and thought it was very good but visually did not look like what she expected having had this dish in France. The service was slow but overall we had a great experience and would go back. A lovely neighbourhood gem! Very disappointing as the reviews were really positive. The food and service was borderline average. We will not return. A very disappointing experience. Given how terrible the service was, it's hard to even fairly rate the rest. We had to continually ask for menus, getting our dishes, getting salt and pepper -- had to stand up and get myself, as I did a number of times -- then getting served. When we were done, waiter came and cleared half the plates, didn't come back until a while later when, again, I got up to ask him to clear the rest. By the time he brought the dessert menus we'd asked for, we gave up. 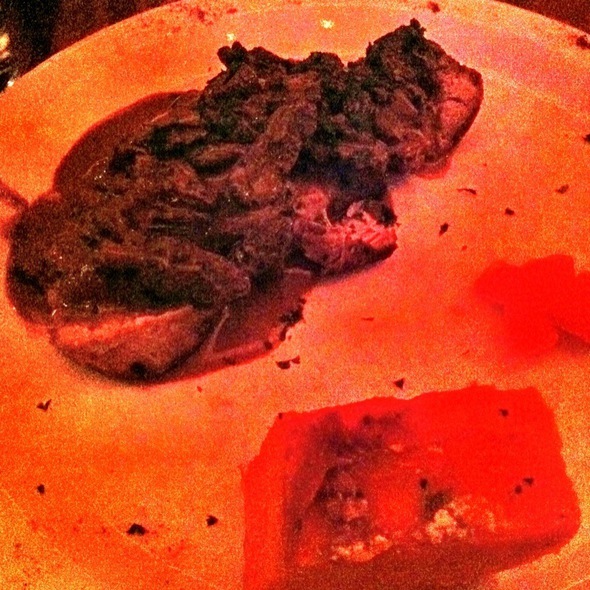 The food was ok -- the vaunted hanger steak is like eating steak with an escargot sauce of butter and garlic, a bit weird. Rabbit was well cooked, but sauce way too heavy and uninteresting. They do a very nice job with a medley of vegetables, nicely prepared and presented for the table. Too bad the rest of the meal wasn't up to that standard. It was fine, nothing was over the top special. Beet salad was a lot of beets, but the cold brie added nothing to it. A good blue cheese would have been much better. Escargot was good but they seemed small for the size of the shells. Rabbit again wasn't special, even a touch overcooked. Filet Mignon was good and rich. The long plate of sides they brought to the table were a highlight. Chocolate lava cake barely had lava and tasted a bit bland. Fantastic service. Restaurant was quiet when we went, with only a couple of tables and some french music playing from the speaker. The ravioli appetizer was delicious, we only wish it was larger. The mussels were great too - we got the creole broth, which was salty and flavorful - we sopped up all of it with the bread. The cassoulet was savory, rich, and quite large - might be enough food for two people. 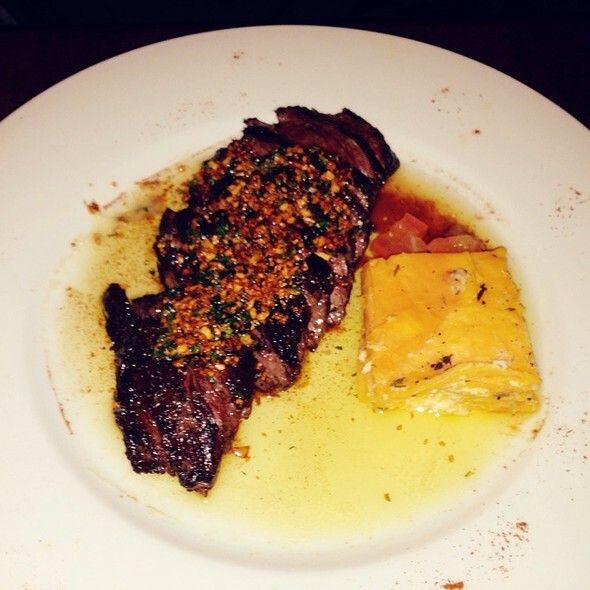 The hanger steak was tender and cooked to perfection. The only complaints I would have, regarding the food, is that I would have appreciated if the bread were served warm, and if the steak had been drained a bit of its butter (was quite heavy). But considering how delicious it all was, I would definitely go back. The house Bordeaux was solid. Wished we had room for dessert. Wonderful meal once again! The wine is terrific and this restaurant transports you back to France. The food is consistently good. This is at least the sixth time I have been to this restaurant. It's great to see it so busy. Food was GREAT! Service was GREAT!! The food was hearty but perfect for a winter’s night. Our waitress was friendly and highly competent. She recommended the hanger steak which all of us had. It was perfectly cooked in butter, savory and not chewy. The appetizers we had were more varied and also excellent. Although there is a wine list, La Sirene has a generous BYOB policy and only charges a $10 corkage fee. This was not a special occasion, just an opportunity to see friends we had not seen in awhile. But it could be terrific for a special occasion. Food was ok. 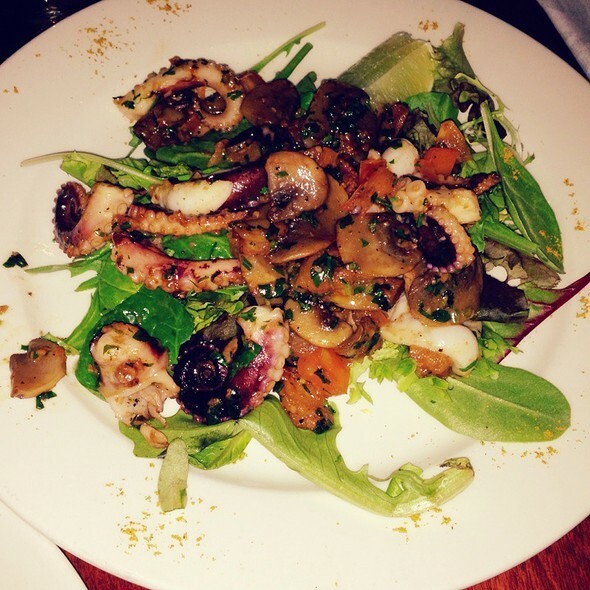 Customer service - good in that we were sat earlier than our reso but the servers were miserable in mood and affect... I guess that’s the Parisian / NY way? A near perfect dinner from beginning to end. If I were to pick on one thing it was that my steak was very slightly overcooked. Other than that, flawless. My wife and I went on restaurant week, which means a bon marche lunch but not big expectations. Something we have done over the years. However, the Lunch at La Sirene exceeded most of the restaurant week lunch we have had over the years. Haute cuisine menu including home made pate de campagne with generous salad on the side and a french onion soup out of this world. For main course I had the duck breast with cranberry sauce (delicious) and my wife had gnocchis a la parisienne with a delicate creamy sauce and gratinee. For desert (not included) we had IIle flottante, light, full of flavor and delicate at the same time. And what to say about Flavio, who helped us: a FIVE STARS MC. wonderful experience with a menu intended to get more regulars. Nothing to do with Cipriani restaurant week menu which somehow was intended for customers not to come back. This is by far one of the best meals I’ve had in NYC. Portions are bigger than expected for a French restaurant, but everything was done superb. 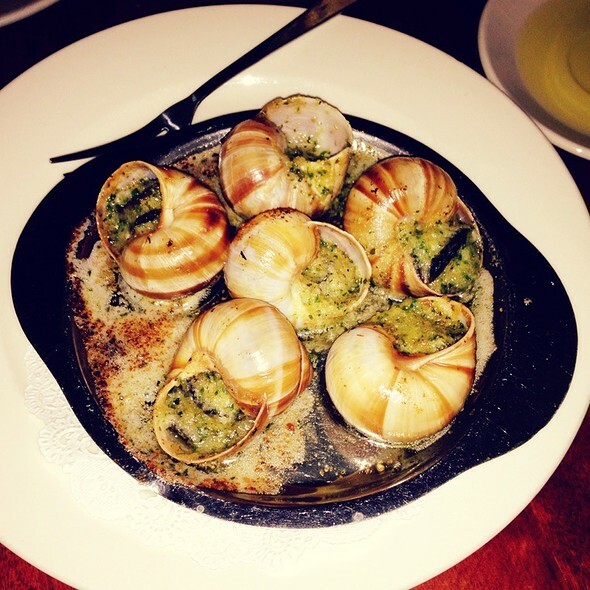 Escargot with the shells is how it should be served. Steak cooked perfectly. Not overprice, just right. Super cozy place for a memorable meal. Excellent food and service served in a beautiful and calm ambience.